Two of my favorites rolled into one. You can’t go wrong with this one! For the crust, mix ingredients and press into 9 inch pie plate (spray with a little non-stick spray). Mix cream cheese, sugar, 1 egg and vanilla well. Pour into uncooked pie crust. Put in refrigerator for 10 minutes. Beat 4 egg yolks and condensed milk. Slowly add key lime juice. Pour on top of cheesecake layer. Bake at 350 degrees for 35 minutes. Top with whipped cream. I’ve come out of summer hibernation… finally. Fall is here and the cooler temperatures have inspired me to get back to the kitchen. Your freezer section does most of the work for this fast & impressive dessert. If you have a mandolin – it makes the process even faster for slicing the apples. For something so easy to put together (and the oohs & ahhs that followed from the tasters) I think I’ll stop spending hours on dessert! 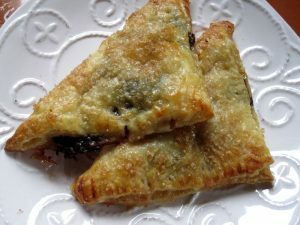 Place puffed pastry rectangles onto a baking pan that’s been sprayed with nonstick spray. Add vanilla, lemon juice & salt to apples. Stir to combine. Allow to sit for a few minutes. 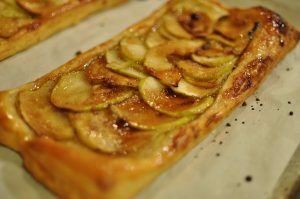 Arrange apple slices on the pastry rectangles in a straight line, overlapping as you go. Dot the top with the butter and sprinkle with Muscovado or dark brown sugar. Warm the jelly and brush over the apples and pastry edge. Serve hot with vanilla ice cream or crème fraîche. Café Soufflé is my pit stop in Montreal for all things delicious in the morning. It also doesn’t hurt that it’s 4 doors down from my favorite resting place, Urban Haven. Café Soufflé seems to have mastered the art of variety. 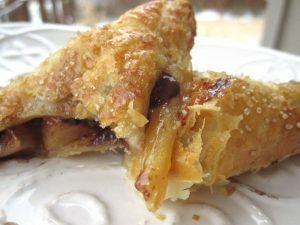 With each stop you never know what treats will come out of their kitchen that day… but lucky the day I walked in and found warm out-of-the-oven pear & chocolate turnovers. This Montreal coffee shop has become my model for when I save enough money to open up my perfect little coffee shop in Dallas. One that is known for the FOOD as much as their coffee. 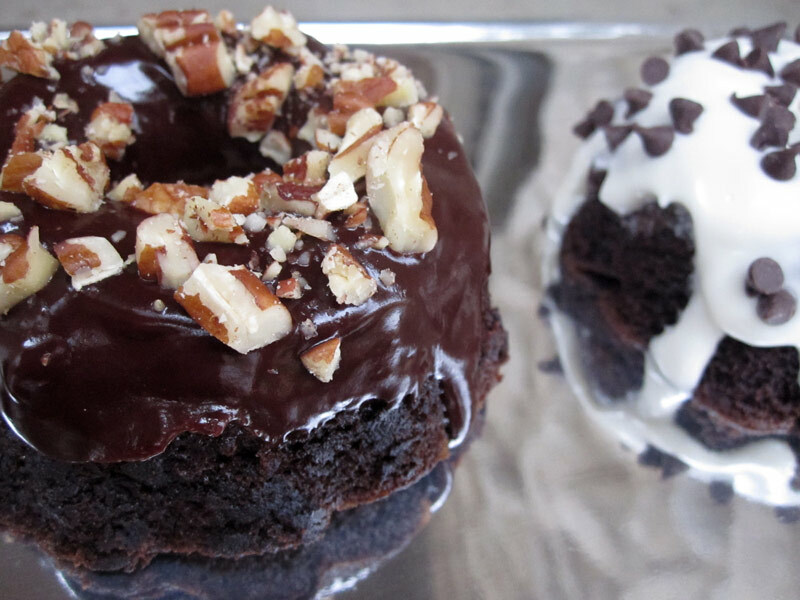 Maybe I’ll add these to my coffee shop menu… they are divine. 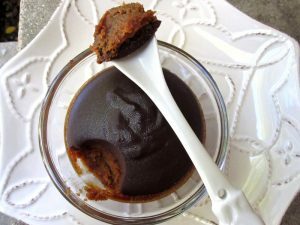 Combine all ingredients (except chocolate) in a small saucepan and bring to a boil, stirring occasionally until sugar dissolves. Cook for about 5 minutes or until pears are just tender (you don’t want them mushy). Cool completely. Cut each puff pastry sheet into 4 squares (8 total squares). Brush the edges of each square with egg wash and place about 1/8 of the pear mixture on one side of the square. Top with dark chocolate chunks. Fold the pastry diagonally and seal the edges using a fork. Place these on a baking pan lined with parchment paper and brush the top with egg wash. If desired, sprinkle with turbinado sugar. Bake for 15-20 minutes or until browned. Serve warm. 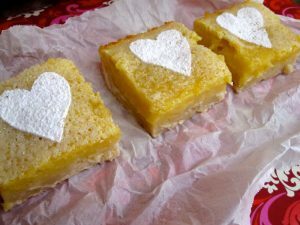 LOVE lemon bars… and this recipe from The Barefoot Contessa is fail proof. The shortbread crust is flaky and buttery and comes together quickly. 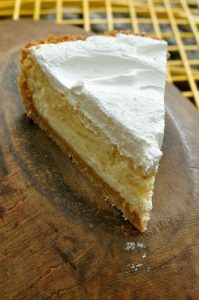 The lemon filling is a perfect balance of sweet and tart and oh so creamy. There are a few tricks to this recipe that will help you make it successful. First, the eggs: must be extra large and room temperature. If you are making this last minute, throw your eggs in a bowl of lukewarm water for 5 minutes and you will have room temp eggs. Second, give the flour time to do is job: after you whisk the filling together let it sit for 10-15 minutes before adding to the cooled crust. For the filling, whisk together the eggs, sugar, lemon zest, lemon juice, and flour. Let the filling sit for 10-15 minutes. Pour over the crust and bake for 30 to 35 minutes, until the filling is set. Let cool to room temperature. What I love the most about this recipe is the resulting size. You don’t need a pound of butter, sugar and a giant bundt pan. I shared this with my best friend Jen and her sweet grandmother – and there were only a few crumbly slices left after gossip and coffee. I used a smaller spring form pan so the ratio of crumbly topping to cake was vast. I like lots of streusel topping. 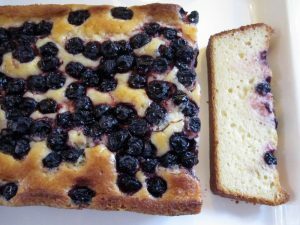 Use a loaf pan, brownie pan – whatever you’ve got. Preheat oven to 350 degrees. Butter an 8 x 8 inch square pan or small spring form pan. For the streusel topping: Mix together the flour, sugar and ground cinnamon. Cut the butter into small pieces and mix it in with a fork. This mixture will resemble coarse crumbs. If the mixture is not dry enough, add in more flour. And then set aside. For the cake: In a small bowl, whisk together the flour, baking powder and salt. Cream the butter and sugar until light yellow and creamy with a stand mixer or hand mixer. Add in the egg and vanilla extract and beat with hand mixer. Mix in the flour and milk in alternate steps. (flour – milk – flour – milk). Pour the batter into the pan and smooth the top. 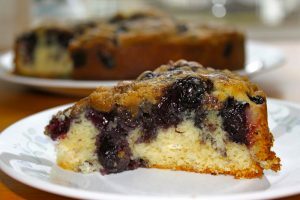 Arrange the blueberries on top of the batter. Top it off with the streusel. Bake for 50 minutes. When a toothpick in the center of the cake comes out clean – it’s ready. Montreal is a dream inspiration for this foodie. I always come home with a ton of ideas and can’t wait to recreate flavors I’ve experienced. 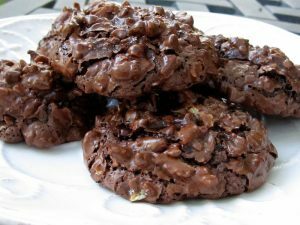 This recipes is inspired by one tiny little chocolate from Marius et Fanny, a chocolate shop on Rue St-Denis in Montreal’s Plateau neighborhood. I found this cute little place on my first trip and I’ve continued to stop in every visit since. I always get the same exact luxury: Chocolate Caramel and Lime chocolates. The French classic, Pot de Crème, was the perfect choice to infuse with these unexpected combination of flavors. You get that amazing creamy and dense feel – just like the oozing caramel middle from the sweet little chocolate. Sometimes a little decadence is all you need. Position rack in center of oven and preheat to 325°F. Place six 2/3-cup soufflé dishes or 3/4-cup custard cups in large roasting pan. Combine sugar and water in heavy large saucepan. Stir over low heat until sugar dissolves. Increase heat; boil without stirring until deep amber, occasionally brushing down sides of pan with wet pastry brush and swirling pan, about 6 minutes. Gradually whisk in 1 1/2 cups cream and milk (mixture will bubble vigorously). Stir until caramel dissolves, about 2 minutes. Add lime zest. Let cool for 10-15 minutes to avoid scrambling your egg yolks. For the chocolate sauce, bring cream to simmer in medium saucepan. Remove from heat. Add chocolate; whisk until smooth. Top each pot with a layer of chocolate and return to refrigerator until set. I was a very lucky kid. I grew up in a house where the entire family ate dinner at the table every night. My parents both worked full time but somehow my mom pulled off a real meal 7 days a week. I have them both to thank for many things, but many thanks to my beautiful mother for never chasing me out of her kitchen. This sinfully crispy and buttery apple cake has burned a memory in my stomach. It was 1997 and instead of sitting through college graduation I was having one last party with my friends… and this cake was my final request from her kitchen. Make it for Thanksgiving or Christmas. Even better make it on some random Wednesday and share it with people you like to see smile. Trust me, it works. ** The Vanilla, Butter and Nut extract is available at Kroger. If you can’t find it, use vanilla… but it’s just not my mom’s cake without it. Cream butter and sugar and beat until light & fluffy. Add eggs one at a time and do not over mix. 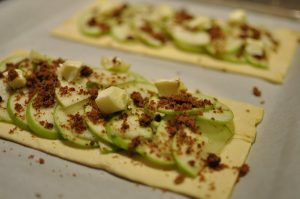 Gradually add other ingredients except apples and nuts. Stir in apples and nuts. Turn into a buttered 9X13X2” pan. Bake at 325 degrees for 55 to 70 minutes. 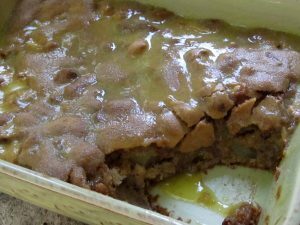 Combine sugar, butter & milk in small sauce pan. Warm over low heat, stirring occasionally until hot (starts to rise up pan). Remove from heat and and stir in extract. Puncture cake with large fork in spots and pour hot sauce over cake. Serve with whipped cream. These cookies are dead simple and the ingredients are probably already in your pantry. Yes, I always have Valrhona cocoa powder in my pantry – who doesn’t??? The egg whites do not have to be whipped into a froth – just lightly beat with a fork. You can use any combination of nuts and substitute cocoa nibs for the chocolate chips if you can find them! The bowl is definitely worth licking. Preheat oven to 350F. In a large bowl, mix together powdered sugar, cocoa, and salt using a whisk. Add in nuts and chocolate chips. In a small bowl, stir together the egg whites and vanilla and then pour into the nut, cocoa& sugar mixture. Give everything a good stir until everything is well combined. Line cookie sheets with parchment or silpat and then drop batter using a tablespoon. Make sure that there is at least 2 inches between each cookie and that you have no more than 8 cookies per sheet. Bake for 13-15 minutes. You will know that they are ready when the cookies lose their shine and become matte. Use a spatula to carefully lift each cookie onto a cooling rack. Makes about 24 cookies.